As is the case with all the simple machines, that these days we couldn’t do without, the origin of the pulley system is unknown. It is thought that by 1500 BC, people in Mesopotamia were using rope pulleys for hoisting water. The first documented use of compound pulleys in a block and tackle system is that of Archimedes, and it’s almost certain they were used in the building of the famous Stonehenge in the UK. Pulleys work by trading distance for effort and changing the direction of the force. An example, in simple language, using two pulleys to lift a weight it only needs half the force to lift it as it would with one pulley, however if the weight was being lifted one metre high, two metres of rope would be needed. 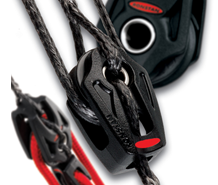 This is termed the ‘mechanical advantage’ and can be increased by adding more pulleys into the block and tackle system. Compound - a combination of fixed and movable pulleys, the mechanical advantage equals the amount of pulleys used. 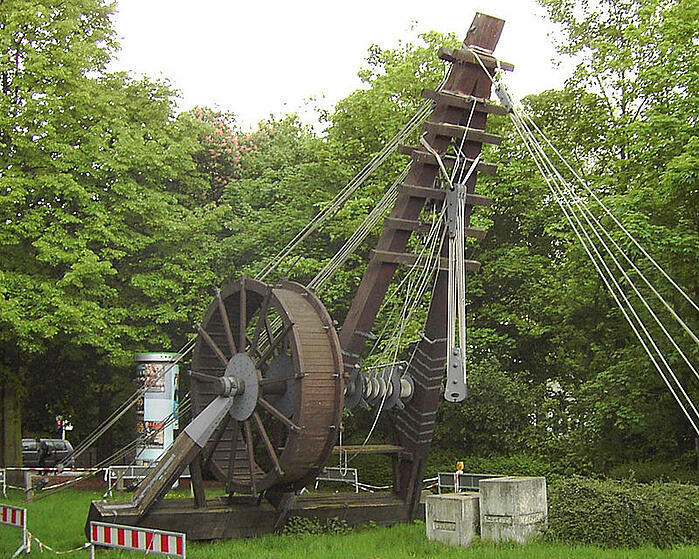 Pulleys were responsible for the birth of the crane. The first recorded cranes appeared in Greece around the late 6th century BC, now it’s an indispensable piece of machinery that most of us see on an almost daily basis. The Mesopotamians and Archimedes could never have imagined how useful their inventions have been. Modern pulleys have countless uses from the very basic -hoisting a washing line, through to the more complicated - controlling the rudders on an aeroplane, to the extremely complex - the systems used by NASA to hoist space shuttles onto Boeing 747s in order to move them around locations.